The parking space has the dirtiest flooring in the house because one can also keep cans of oil and lawn tools here along with parking the car. As the vehicle drives across the floor, the dust builds up and make the place unhygienic. Floor tiles are a perfect solution to maintain your garage as another part of the home. One can purchase tiles of different style and size online. The parking floor tiles at MyTyles online portal are made to combat the extreme climate conditions. 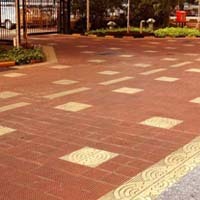 Here, you can find a wide range of quality and long-lasting floor tiles for your parking area.